If you’ve kept up with the twisty conspiracy series Mr. 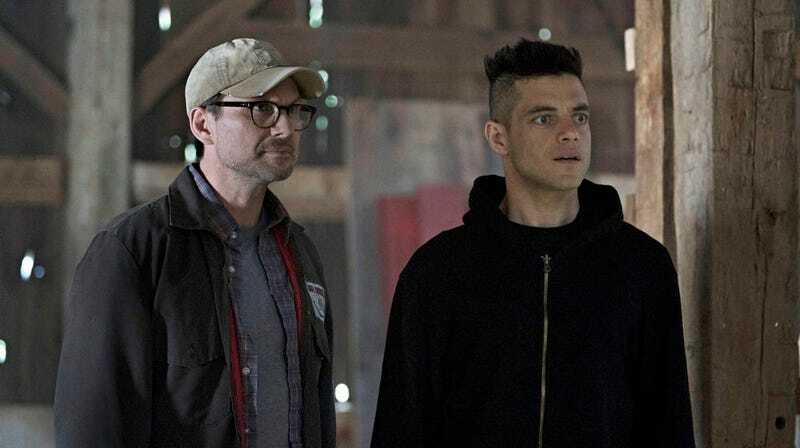 Robot, then you know these past two seasons gave us some flashbacks to how troubled hacker Elliot first started toying with the idea of his revolution. But now, there’s a chance for a much more in-depth look at the birth of fsociety—it just won’t be on your screen. Sam Esmail has decided to take the perpetual motion machine in his brain that creates Mr. Robot and apply some of its output to a different medium. Entertainment Weekly reports the writer-director is penning a new comic that will focus on a prequel story to season one, in which the creation of fsociety takes center stage. True, we saw some of that this past year, what with Mobley and Trenton’s first meet-not-cute and so on, but presumably this will create a blueprint for the details of fsociety’s planned revolution. Or maybe it’ll be a bunch of narrative feints eventually leading to the argument that revolution is a bad thing. There’s a few options. Esmail is teaming up with Mr. Robot show writer Jeff McKibben to craft the stories, and Black Mask Studios—whose publisher, Matteo Pizzolo, will also help craft the new comic series—is set to release the books beginning sometime this fall. Antonio Fuso will illustrate, and Tyler Boss is the colorist. No word on whether this will launch before the start of season four, but either way, let’s just assume you’re going to have to do some rewatching to remember what the hell is going on.